Looking for the pérfect Summer Laser kick-off? Nieuwpoortweek 2019 awaits you! Starting the last week of June, 8 Days a Week will be providing a clinic and regatta coaching before and during the 31st edition of the Nieuwpoort week, in Belgium. No better team to do the Nieuwpoortweek with as 8 Days a Week. Since our coaches know this place like home and our sailors have won the previous editions, lot’s of local knowledge will be informed during the clinic & regatta coaching. 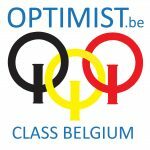 At the same time 8 Days a Week will be hosting an Optimist Clinic and Regatta coaching at the Nieuwpoortweek. More info on this link. Keep in mind that Optimist and Laser will be sailing on different courses. Over the past few years we had sailors from multiple countries participating. For example: Belgium, Netherlands, France, United Kingdom, Spain, Portugal, Ireland, Finland, Sweden, Norway, Malta, United States of America, Hong Kong, Sint Lucia, Bermuda, Canada, Cayman Islands, Australia and South Africa … We’re looking forward to coach you! Registration can be done below, email to info@8daysaweek.be in case you’re interested. Keep in mind while registering you agree upon our general terms.